Diagnostician Ashley Mayer has re-joined the team of diagnosticians at WearCheck’s head office in Pinetown. Ashley, originally a Durbanite, holds a BSc in Mechanical Engineering, as well as a national certificate in Datametrics and has completed an Advanced Business Programme. His career kicked off in Durban as a mechanical engineer for Chempute, after which he joined the WearCheck team as a diagnostician for four years. A stint at ABB as a tribologist was followed by five years in the USA with the Noria Corporation, finishing up as director of Applications Engineering. 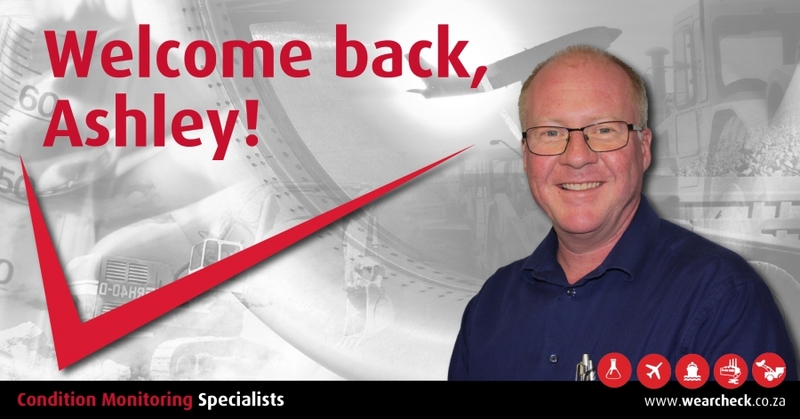 In 2009, Ashley returned to WearCheck as senior technical consultant in Johannesburg, which was followed by two years as manager of the Speciality Laboratory and three years as the company’s training manager. He travelled far and wide running technical training courses for WearCheck customers throughout Africa and beyond. This year, Durban extends a warm ‘welcome home’ to Ashley. Throughout his career, Ashely has presented several papers at conferences, and has had many of his condition monitoring articles published in professional publications. He has won two gold awards from the American Society of Business Publication Editors.